The new door latch arrived today so I took advantage of the good weather and set about fitting it this afternoon. The job in itself isn’t difficult but it’s definitely fiddly and can be time consuming depending how much you need strip down the door in order to remove the old latch and then fit the new one, it took me a couple of hours in total. 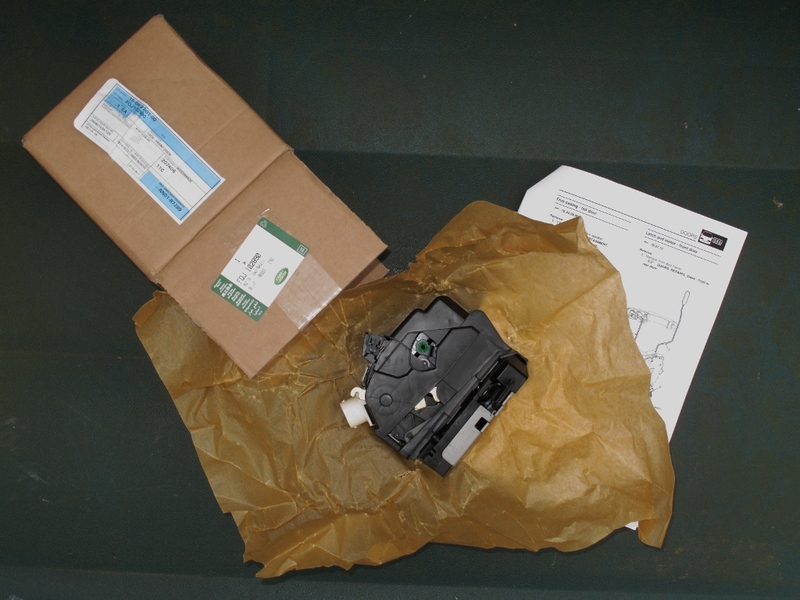 Firstly make sure you’ve got the right part, they’re handed and you wouldn’t want to strip everything down only to find you’ve got the wrong side, the part number the front passenger door latch assembly (RHD vehicle) is FQJ102890 expect to pay around £60-£70 for a brand new, genuine part. The first thing I did was remove the wing mirror, simply unclip the internal trim panel, remove the anti-rattle foam pad and you should see some electrical connectors, how many will depend on spec, I had 2, you should also see 3 bolt heads (7mm) that hold the mirror to the door. 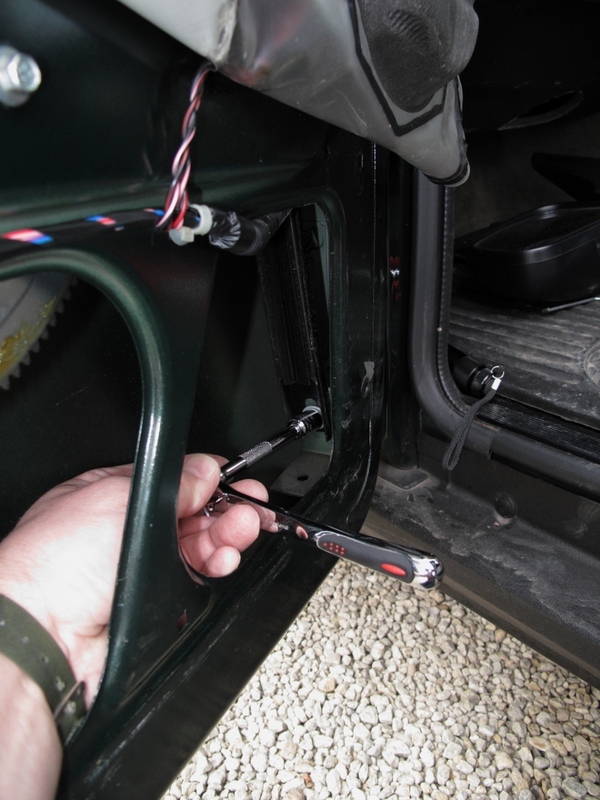 Undo the electrical connectors carefully then undo the 3 bolts that hold the mirror, remember to hold on to the mirror before removing the last bolt! 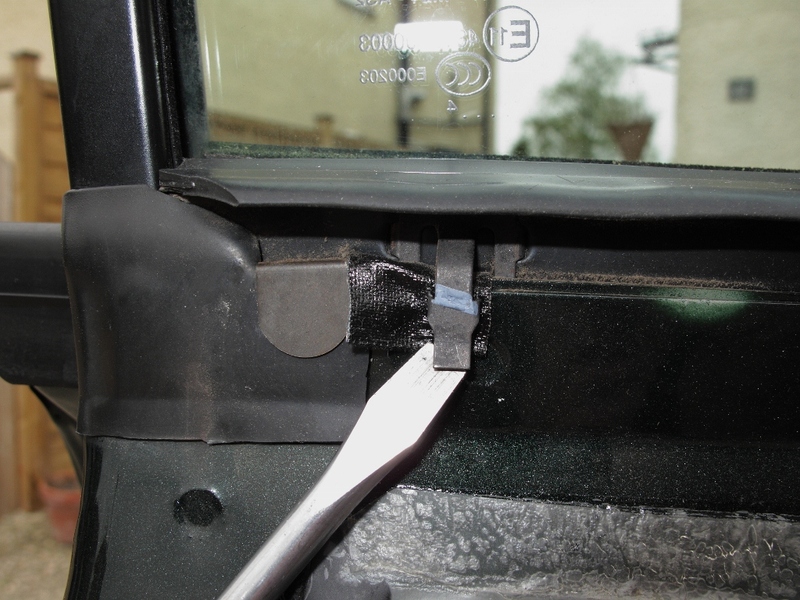 Put the mirror, mounting plate and associated trim pieces somewhere safe and move on to removing the door-card, this is held with a combination of screws and spire clips. Firstly remove the 2 screws that secure the grab handle to the door, then the 4 screws holding the lower door pocket, finally remove the small screw that holds the handle escutcheon plate, next carefully and slowly prise the door-card away from the door, I started at the bottom as I found this easier, only pull it away an inch or two at this stage as you will need to disconnect the wiring for the door speaker/s. There are 10 spire clips along the left, right and top edges of the door-card, go slowly and you should be able to free them off without breaking them. 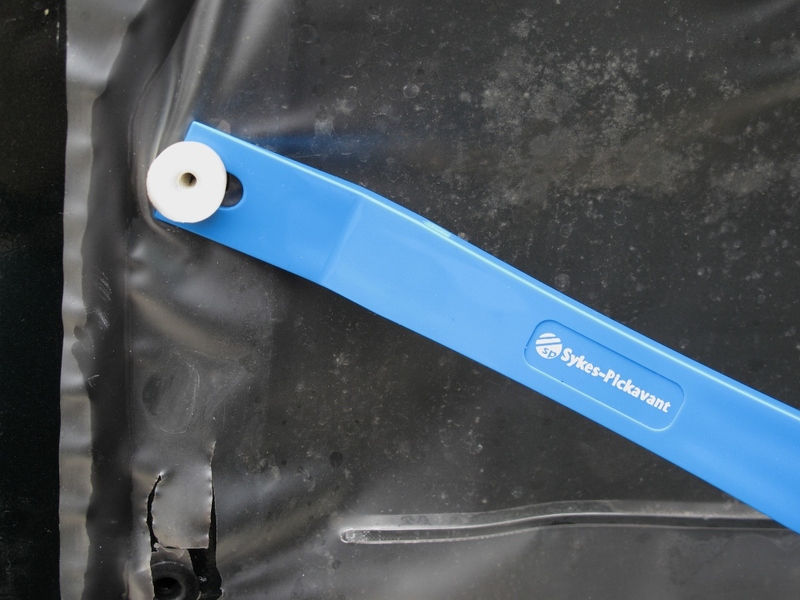 Remove the 4 white nylon fittings that take the screws for the door pocket from the bottom of the door and keep to one side for refitting later, next carefully peel back the water shedder and tape up out of the way, you should now be able to see into the door cavity. 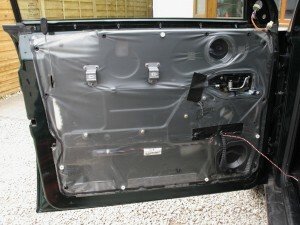 I now removed the inner and outer waist seals from the door top, I removed the inner one first by prising up the metal clips and gradually pushing up until the seal came free, the outer seal is only held by 2 clips on the inside face of the door, remove these and carefully remove the seal. 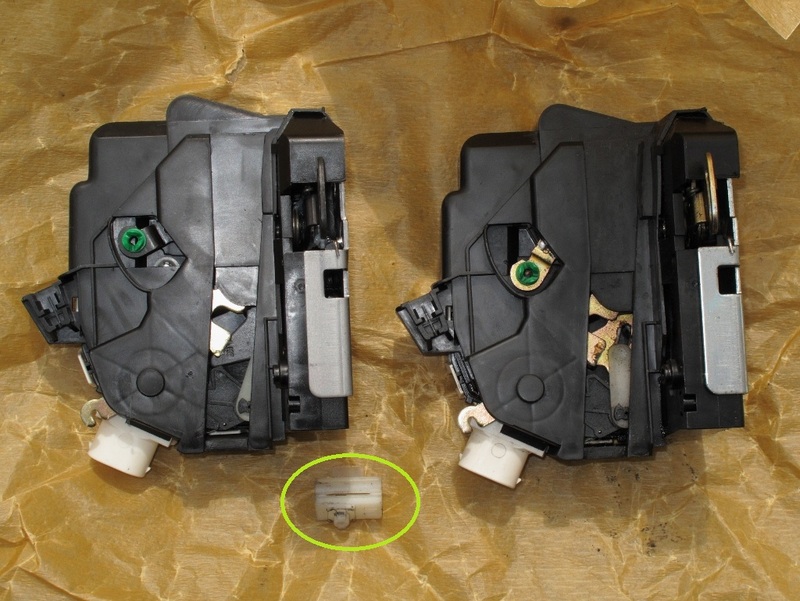 Ensure you keep the seals straight and try not to bend them out of shape when removing them, this will make refitting much easier and neater. 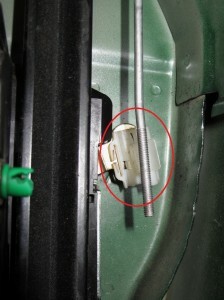 I then moved onto the latch itself, firstly by unplugging the multiplug connector, then the release cable from the inner door handle and then the sill lock button was unclipped from the green plastic fitting on the latch and removed, finally you need to unclip the outer door handle control rod from the latch by unclipping the white nylon flap on the fitting that it is connected to, the flap pulls directly towards you after prising apart the 2 tabs. The next thing to do is remove the 4 screws/bolts that hold the upper frame to the door, 2 on each side, 2 inside the door at the bottom and 2 on the outer edges of the door at the top. 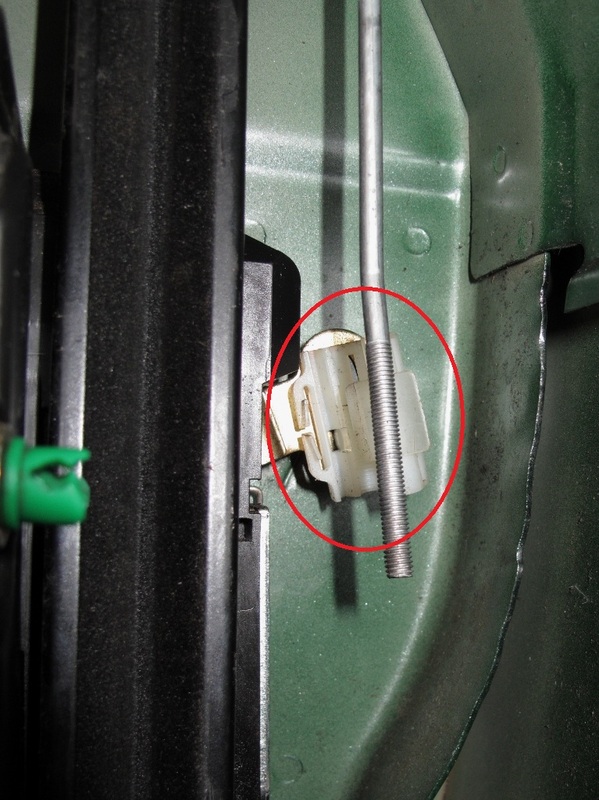 The 2 inner bottom bolts are 10mm, the 2 upper one’s are Torx fixings, T40. (I’ve since found out there is 5th bolt in the top corner below the wing mirror, thanks Nick!) Once these are removed it should give you a bit of ‘play’ in the frame which will enable you to remove the latch. The latch itself is attached to the door on the slamming edge with 3 Torx fixings, T25, remove these to free the latch. 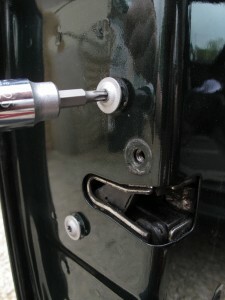 Once the old latch is removed manoeuvre the new one into place and refit the 3 Torx fixings, attach the multiplug, inner handle cable, sill locking button and the white nylon fixing for the outer door handle, make doubly sure that outer handle connecting rod is securely attached to the nylon fixing otherwise the outer door handle will not open the door. DO NOT SHUT THE DOOR until you have tested that the lock now works, I simply placed a round screwdriver blade into the latch to simulate the door being closed, now when you’re sure everything is connected press the remote plip to lock the vehicle, the horn will sound to indicate a mislock but the latch should have locked around the screwdriver blade, now try to unlock the doors with the remote plip and hopefully if all has gone well you’ll be back in business. I had to make a few minor adjustments to the outer door handle connecting rod to get it to open the door as it should. Finally, once you’re satisfied with the operation of the new latch refit all the bolts and screws for the top frame, refit the water shedder, carefully reattach the door-card after refitting the speaker connectors, then the door pocket (don’t forget to refit the 4 white nylon fixings after the water shedder has gone back on) and finally the inner door handle escutcheon plate.